Kristel Balcaen, Wine Lady of the Year 2018. Photo: Joris Luyten, 2018. 2017 was a great year for me, with becoming Champagne Ambassador for Belgium and Runner-Up in the European Champagne Ambassador finals. So far in 2018 this streak seems to continue: earlier this week, I was named Belgium’s Wine Lady of The Year 2018, a title awarded annually to a female wine professional who has had a positive impact on the visibility and appreciation of women in the wine world. Happy times for sure, but Lady Fortuna can be a fickle mistress, so I try to enjoy every single minute: learning, living, and meeting new people to learn from and share experiences with. After all, meaningful connections are what makes life worth living, and this happens to be what wine does best: bringing people together, and nudging them to share and process the pleasures and pains of our earthly existence. The more nooks and crannies of the food and beverage world I discover, the clearer it becomes just how many passionate and deeply interesting people are working in our industry. Our individual stories may be very different, yet they’re usually born from our personal enjoyment of good food and wine, a desire to learn and experiment, and the drive to share that enthusiasm with the people around us – and this goes for men, women and anybody identifying as either, both, or anything in between or outside of our social and cultural constructs. 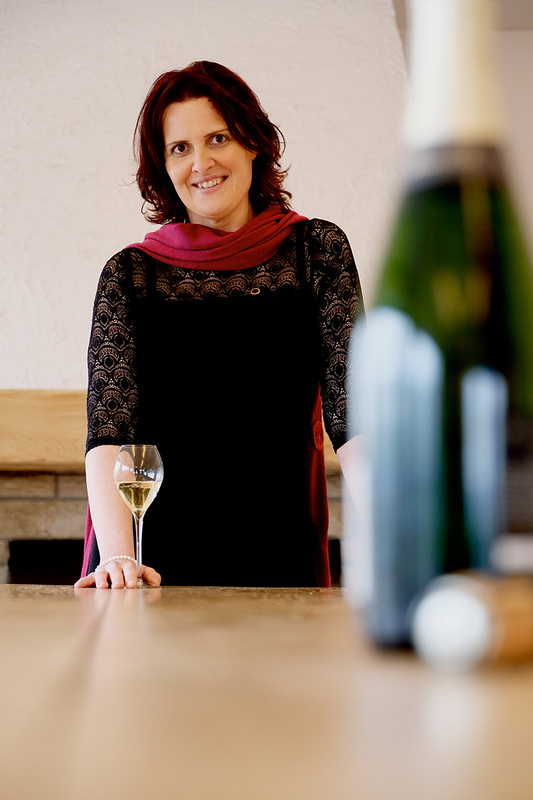 Kristel Balcaen – Wine Lady of the Year 2018. Foto: Joris Luyten. Because of my nomination for “Wine Lady of the Year” – and in the light of current events – women’s issues have been a regular topic at the dinner table these past few months. People have asked me if I felt undervalued as a woman, if being a woman had ‘held me back’ in my day job or in my wine activities. It’s a difficult question to answer, because I have no way of knowing what my life or job would look like if I had been anything other than a woman. As far as I can tell, my gender has never been a fundamental issue, and hardly ever prevented me from doing what I really wanted to do. But I’m aware I’m lucky in that regard, having been born in the seventies, in a reasonably open-minded part of the world, from well-meaning and caring parents who encouraged me to read and get an education, and above all, by nature and nurture, I’ve been gifted with stubbornness, grit and a strong sense of purpose to work for what I want to achieve. Is that strong backbone rounded off at the edges by the classically feminine desire for interpersonal harmony? Certainly. Do I often follow my instincts and intuition over logical reasoning? No doubt. Do I risk being all over the place because of too much self-imposed multitasking, like a circus artist trying to keep all the plates spinning? Most definitely. But I’ve come to see these traits as superpowers rather than weaknesses. The fact that disharmony makes me profoundly uncomfortable motivates me to connect with people and to try to understand them better. By following my instincts, with varying success, I’ve acquired a better understanding of when logic is the way to go and when it isn’t. And many years of multitasking have taught me to better manage my time and honed my ability to bridge very different and diverse worlds. If there’s anything we women can do for ourselves, to further improve our lives and circumstances, I think this is it: embrace what our individual circumstances have taught us; continue to dream and work hard to make our dreams happen; and take responsibility for our lives and our own actions within and across the borders of our realities. Or if you have an hour to spare, I’d highly recommend his “Don’t Panic” documentary. Enjoy!